Surf lessons for beginners, rent of surf equipment, and coaching for better performance inside the water. ​It's a fun new way of riding waves for everyone. SUP offers the possibility to paddle in lakes, rivers, lagoons. And, to paddle inside the ocean to try to catch waves. Stand Up Paddle makes it easier to move with the help of the rudder, and the surfboards are wider, thicker and a little bit heavier than the usual surfboards. 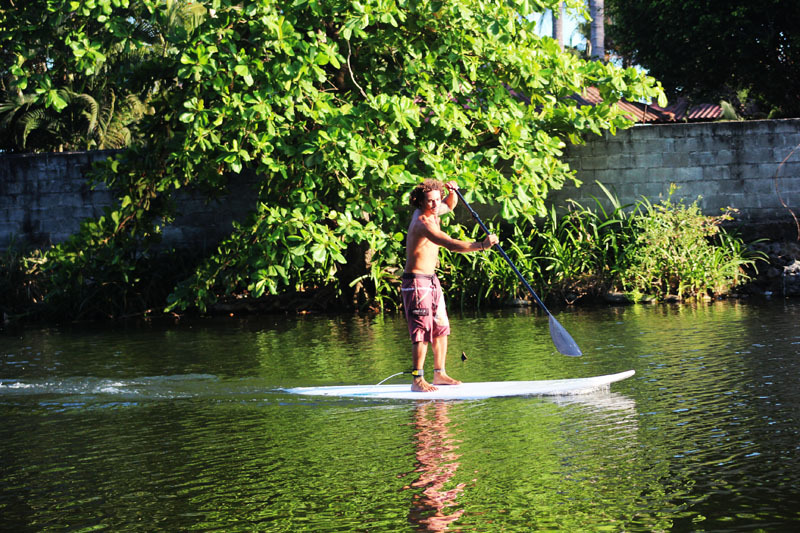 The characteristic of the SUP board makes it easier to keep the balance and to be stable while onto of the board. 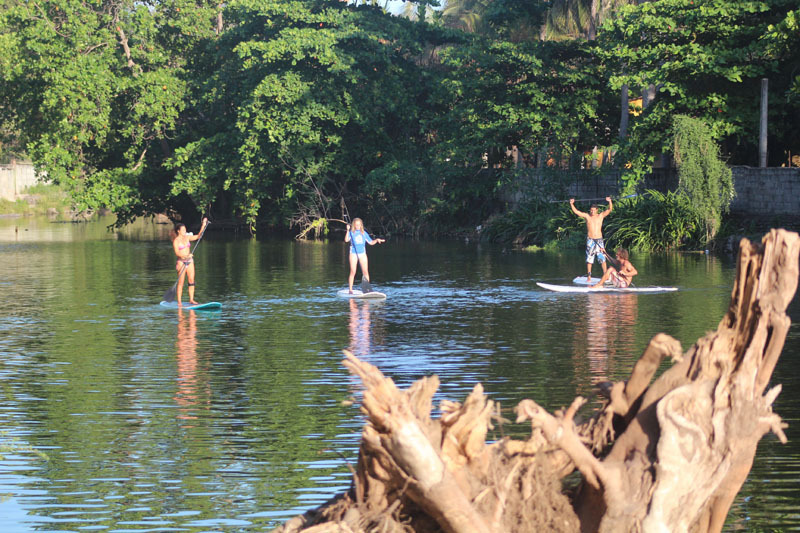 With only one hour of a basic lesson it's possible to handle the SUP board by oneself. 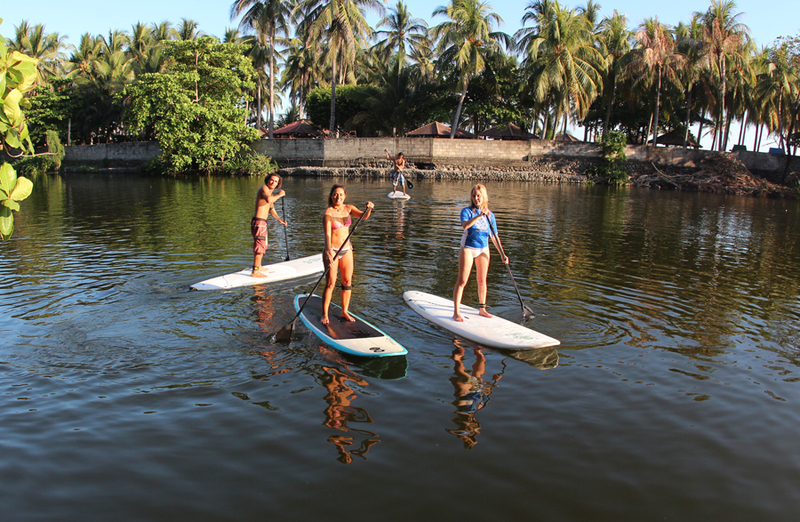 But is always better for first timers to be supervised by someone with more experience in the activity, specially if the activity is going to be performed out in the ocean. 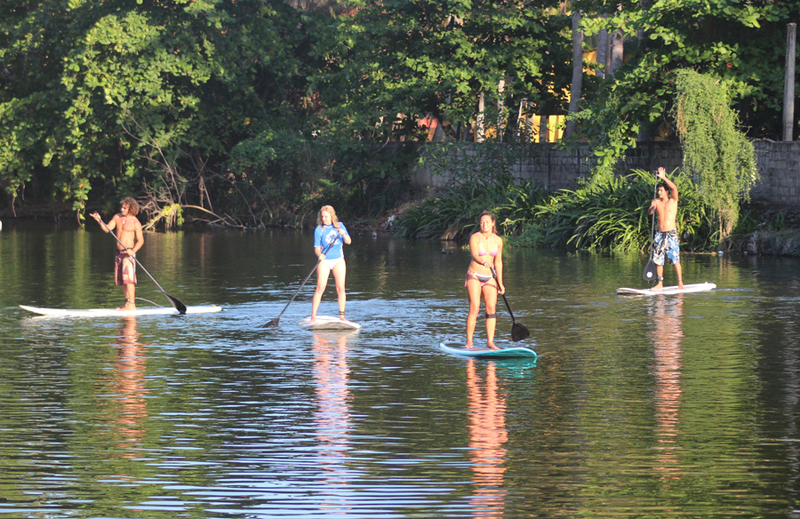 SUP is a very good activity for the back and the arm muscles, as well for the core and balance. It also make it easier to go deeper into the ocean, and have views of the beach and mountains from angles that are usually not seen. Equipment Rent - US$20 per hour. SUP Lesson US$45 for 2 hours, including the SUP equipment.